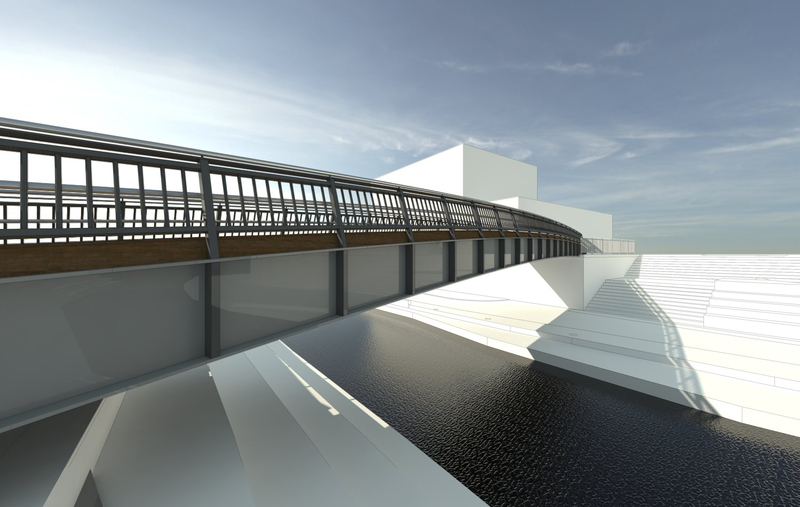 AUA has collaborated with CTS bridges, Clarkebond and Dawnus Construction to design and build a pedestrian footbridge over the River Biss. The bridge spans 26m and links Cradle Bridge Retail Park to both St Stephens Place and Trowbridge Town Centre. 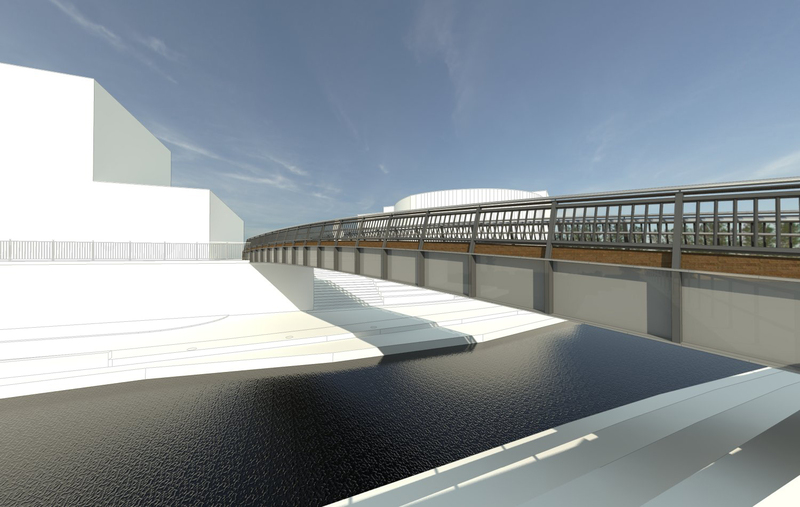 The bridge forms an important addition to the strategic masterplan of the Town Centre and the design satisfies both the Environmental Agency’s requirements on flood defense and the Ecology Constraints to the site. 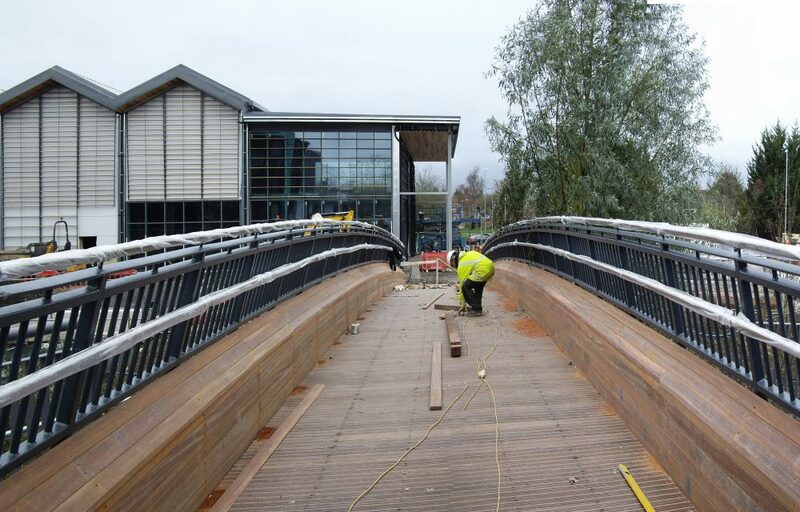 The bridge is finished internally with a hardwood non-slip timber floor, stainless steel handrails and includes low-level lighting that will illuminate the decking but will avoid spill onto the river below.